Wow it is that time of year again. Yes, the time when stresses abound. There are the parties to plan, shopping to do, personalities to deal with, extra financial pressures, and large crowds to handle. All of this can take a toll not only on your patience but also can tap your joy and maybe effect your health. How do you cope? Simple, follow Brain Lady Julie’s “5 P’s for Dealing With Stress”. Listen to the show today to hear how neuroscience can help you to slide through all this stress and turn ... See More it into joy! For a complementary copy of Brain Lady Julie’s handout “5 P's for Dealing WIth Stress” send her an email to info@YourBestMindOnline.com and put “5 P's” in the subject line. 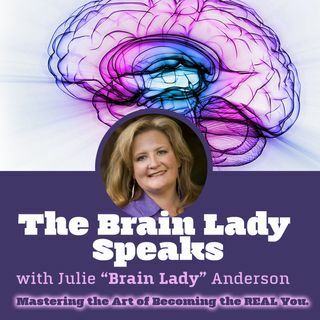 AND REMEMBER to follow the Brain Lady Speaks Radio Show here on the EWN Podcast network or on iTunes and Stitcher! If you liked the content of the show today or any of the other Brain Lady Speaks episodes be sure to share on social media and spread the love!